Distribution turning very loosely democratic in America means that actually going and sitting in a movie theatre to watch a movie is now something of a luxurious whim and less an expected reflex. We don’t seem to share the cinematic experience the way we once did. Film Comment Selects is always a fascinating piece of counter-programming to the late winter season of wide release movies. We’re mired in awards talk, muted horror and non-blockbusters litter the theatrical landscape, meaning there’s bound to be little everyone sees and still talks about in a few months, and the festivals are just starting for the year. It’s a program of a dozen or so films every year chosen by the editors of Film Comment Magazine that could use the boost in profile ahead of wide releases or in lieu of them in the case of some of the more arch or challenging titles. 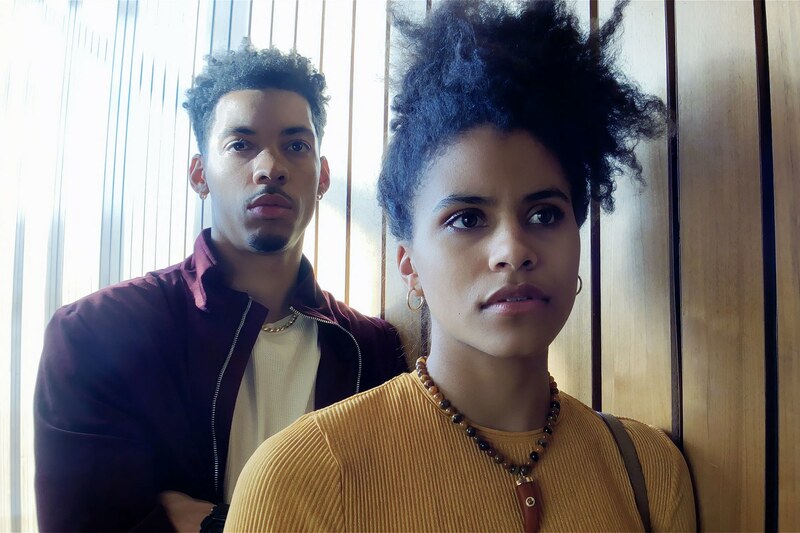 Steven Soderbergh’s High Flying Bird (2019) is the biggest get in terms of pure volume – it’s on Netflix right now and it’s directed by Steven Soderbergh, the rest don’t stand a chance of matching its profile. But that’s much the better because the other films could stand a little of its secondhand glow, they’re equally good or better. And taken together as a program to be viewed in the Walter Reade Theatre they provide a glimpse into cinema as a rarefied sanctuary away from the ordinary, the expected. These films are as much about communities and ideas hidden away as they represent both by virtue of their being chosen for this series in one corner of New York. High Flying Bird is a film about a man burrowing into the inner sanctum of various moneyed vessels. 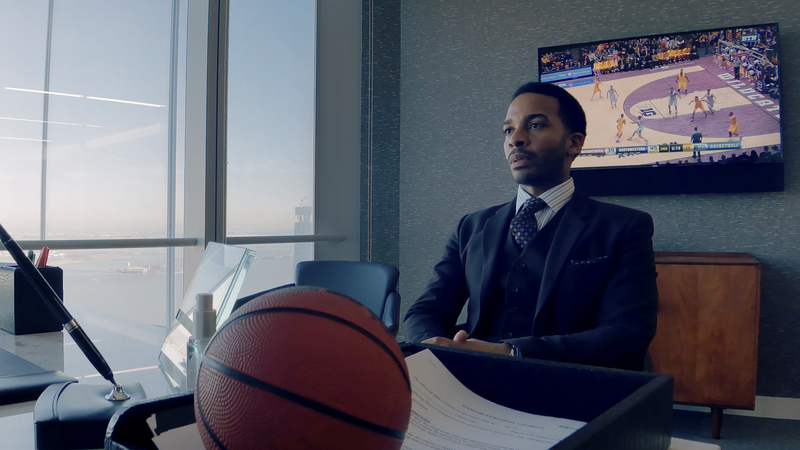 André Holland plays a sports agent trying to negotiate his way out of a financial stalemate orchestrated by people who live above his pay-grade. He’s an outsider with non-functioning corporate cards and a home with a revolving door on the outside through which walks his familiars – the assistant who won’t accept she’s been fired, the rookie player he represents, and the ghost of his once-promising cousin to remind him he’s mortal. Soderbergh, with his woozy, claustrophobic iPhone compositions, depicts Holland’s world as an uncertain thing, a roiling sea of backstabbing and make-believe (a feeling accentuated by the near fish-eye look of the iPhone camera lens Soderbergh uses – which also helps the film feel like it’s taking place in another dimension). Each office, bar, sauna, home and gym he invades is like a court on foreign soil. He knows he doesn’t belong, that people don’t want him, with his very simple hunger for more spoiling their appreciation of the lives they’ve built, but he presses on and tries to undo the whole framework. The cavernous realms of the exclusive, he reasons, are as much his rightful place as anyone’s. He wants to open the doors, to make the halls of the rich the province of everyone and so, works hard and slyly to prove he doesn’t need them and neither should anybody else. Money is what separates the locations in High Flying Bird, and the mindsets differing amounts of it breed in people. All across the line-up are many kinds of separations that manifest geographically. War keeps families apart in Beata Bubenec’s Flight of a Bullet and Beatriz Seigner’s Los Silencios, opportunity does the same in Ekta Mittal’s Absence and Yang Zhang’s Up The Mountain, parentage in Caroline Poggi and Jonathan Vinel’s Jessica Forever, homelessness in Bettina Perut and Iván Osnovikoff’s Los Reyes, and about a thousand feet of concrete separates the alien protagonists from the rest of the world in Victor Moreno’s The Hidden City. Even in the retrospective section lie untouchable zones of social privation from the besieged western hamlet in Edward Dmytryk’s Warlock (1959) to the tour bus Willie Nelson’s alter ego lives on with his band in Jerry Schatzberg’s Honeysuckle Rose (1980) and even in the memories Abraham Lincoln relives in the recently rediscovered silent John M. Stahl-directed Lincoln Cycle from 1917. There are many revelations waiting in the line-up but perhaps Stahl’s 10 part Lincoln reverie is the most sublime. His reconstruction of Lincoln’s past is a series of pastoral rituals and longings, simple but careful renderings of life on the frontier as one’s mother is taken by illness and young Abe learns to read. The uncomplicated nature of every defeat and victory comes to feel titanic not just because there were only so many concerns in the middle 1800s but because Stahl renders Lincoln’s life as a kind of test. Can you still learn empathy when mistreated on such a small, bewildering stage? 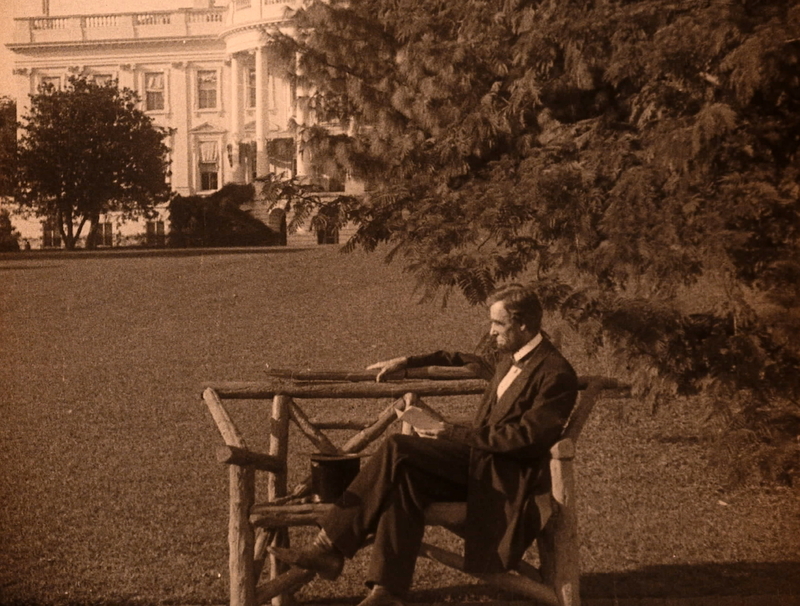 Every minor push and pull, every stolen object and argument, directed with the grace and intuition of D.W. Griffith, who himself gave the story of Lincoln a workout in the 1930s. Stahl’s not spoken of in the same breath as Griffith (or other early majors like Ford or Hawks) but he truly ought to be. Here he captures the hubris and softness of the 16th President without giving into his lead actor Benjamin Chaplin’s attempts to deify him through his massive performance. Nelson’s performance in Honeysuckle Rose is a lovely answer to Chaplin’s Lincoln, another titan of Middle American charm known for his performances and a stand-in for liberal politics that somehow flourish where hatred holds fast to every stone. Nelson plays a man who makes a Chekhovian promise to his wife before setting off on one last tour with his old bandmates, and we watch as he breaks it. Schatzberg, a celebrated photographer, always prized the image above any moral or dramatic dimension his stories might have which makes them feel overly familiar even if you imagine him the first to truly tackle any given subject, as he was in the case of The Panic In Needle Park (1971) – the first film with a studio backing to look heroin addiction in the eye and to try and tame Joan Didion’s prose. Honeysuckle Rose endures largely for a host of charming performances (Nelson’s isn’t even the best one, he’d master screen acting by the time he made Thief for Michael Mann a year later but he’s a little rough here) by Amy Irving, Slim Pickens, Lane Smith, Dyan Cannon and more, and because of Robby Müller’s photography. The German photographer wasn’t best known for his work in this mode, handheld and reliant on the sun for more than counterpoint to his carefully selected neon gels, but his work here is really something else. You could be forgiven for thinking quite a few of the films in the lineup have his work here in their genes. 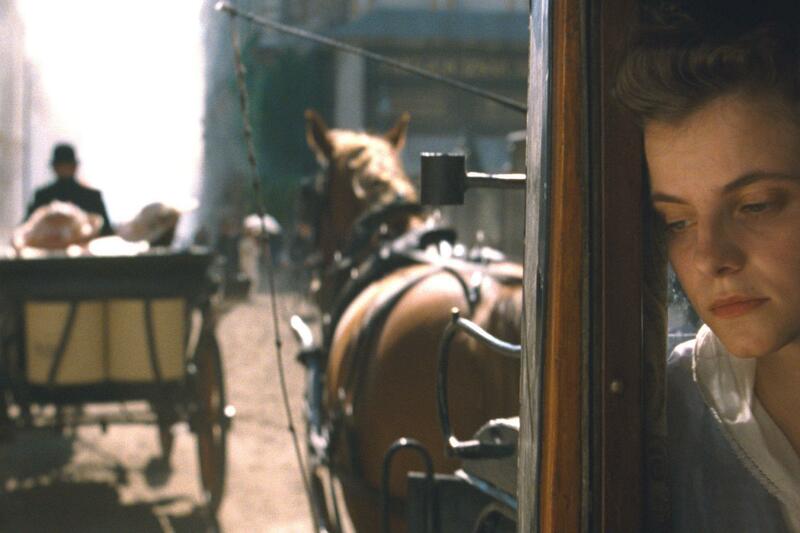 Just look at László Nemes’ Sunset. Sunset is stylistic kin to Nemes’ holocaust drama Son of Saul, keeping a steadicam at the back of its protagonist as she spirals down a historical maelstrom of violence and conspiracy. There are Müller-esque dusty cityscapes and dim corners over the heroine’s shoulder the whole time. You could sense his location work in Barfly, Dead Man, Paris, Texas and Beyond The Clouds seeping into Nemes’ ancient Hungary, if you chose to see it. Sunset is an altogether more open work than Son of Saul, allowing the viewer more room to do work of their own about the meaning of every suggestion and gesture. Juli Jakab plays a woman retracing the steps of a fractured and disgraced family in pre-war Budapest as she seeks employment and some kind of satisfaction after a life spent in orphanages. There’s something of Camus in the way Nemes frames her quest as a series of observations of increasingly violent events. She tries to help the women caught in the spider’s web of a wealthy shop-owner (an almost unrecognizable Vlad Ivanov), the man who inherited her parents business when they perished in a fire, but when she realizes she can’t really enact change in their short lives she leaves a goodly sum to their fates. Her discovery of anarchy as it begins to supplant the capitalist monarchy that first greets her in Budapest has a Sisyphean edge as every step she takes to make order from chaos leads her further into a moral darkness. 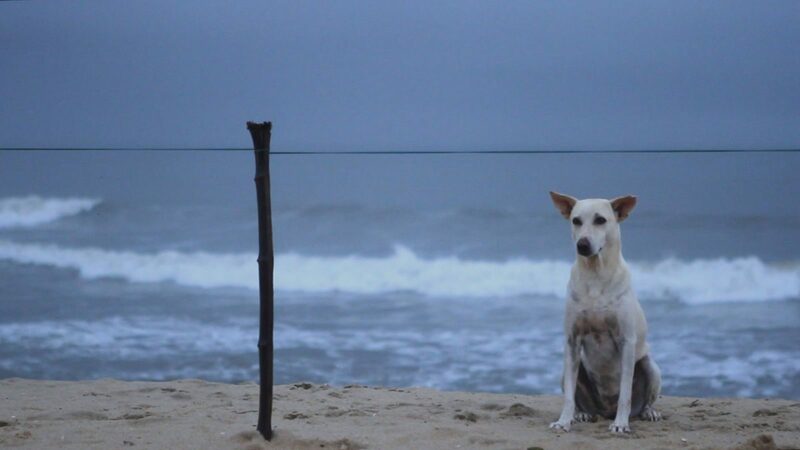 Her good deeds, slight though they seem considering where the film ends, are not rewarded with anything but her continued survival while the world around her crumbles and burns. That Nemes’ camera is never more than a few feet from her face compounds the psychological and existential dread of her self-discovery even further. Müller’s contrapuntal earth-tones and neons can be found in Los Silencios, as well, a film of a creeping malevolence catching up with a family of refugees fleeing Colombia’s uncertain political climate. Their father, presumed dead, is waiting for them like a ghost in the attic when they arrive at their temporary home awaiting re-assignment into a new life, one far from the revolutionary activity that was once the family’s stock-in-trade. Their children view the world of adults with jealous, hungry eyes, wanting badly to take part in their emotionally fraught business, despite their mother’s warnings. The world of adults is not one of safety and she can’t protect them if they’re out there. That idea finds purchase in many of the stories in the line-up, from Jessica Forever‘s collection of violent orphaned men to their unruly counterparts in the Ukrainian military unit in Flight of a Bullet. The paramilitary units are like yin and yang, one real, one fake, one hiding, one penetrating the world looking for answers. The tableaux of Jessica Forever, arch, mythic, colourful and magnificently lit, are miles away from the snippets of personality gathered over the single 80 minute take that makes up Flight of a Bullet, but in both lie the chasm between men and women in wartime. “I’m busy with Beata…” says one of the Ukrainian soldiers to his C.O., an AK-47 clutched in his hands. Guns for men, cameras for women. “Training time and nap time” are the two most important parts of the regiment that Jessica keeps for her boys, all armed to the tooth and rent with an unnamed melancholy. They must kill but she loves them anyway, they must be defined by their childish predilection to violence, but there are Beata and Jessica with gifts: a portrait, a motorcycle, understanding. That ultimately is what everyone here chases, from Lincoln sweating a letter on the fate of Kentucky, to the paranoid gunmen in Warlock, each hoping the others can read past their stiff-legged stances to their more nuanced positions. Warlock is one of those films people like to call a “psychological western,” which is usually a way of saying a character’s looking to get laid but doesn’t know it. Warlock is terrific not because it’s ‘psychologically’ astute but because it keeps shifting pieces on a chess board without taking anything but pawns until the layout’s been totally reversed. Richard Widmark and Henry Fonda are the real revelations here, Widmark playing almost naif as he drifts from his old gang to become a sheriff’s deputy when he sees what a bunch of mean-spirited cowards his guys turn into when confronted with a real threat. Fonda walks into the film looking like the heel, but he softens too when he realizes his deputy/lackey (Anthony Quinn) has been pulling his strings the whole time. The film’s about breaking old habits and trying to make people see you for more than the pistols sticking out of your hip. The boys in Jessica Forever want the same thing, as do the kids whose lives happen around a pair of homeless dogs in Los Reyes. The lazy beasts have a routine they stick to as much as they skaters who see them every day and kvetch about their un-sympathetic parents, their mating rituals and drugs. We interact with the athletes through their absence, images of their hands and feet passing by the dog’s territory. Defining people through their absence is another recurring idea. Ekta Mittal’s Absence, a sublime rumination on missing persons, is all about trying to get people to recognize the faces of people who’ve left their small town lives for greater prosperity in big cities. Of course it’s actually just about the things we notice when we’re alone, the way people talk about us when we’re gone, and the forbidding beauty of a land without people, which is another way to describe the underground passages and corridors in Moreno’s The Hidden City. Moreno filmed the latticework of subterranean tunnels beneath a Spanish city with the prostrate curiosity and hushed, overwhelming splendour of Ridley Scott’s Alien movies. If Scott had attempted something like a Nikolaus Geyrhalter study, the results would be similar, except of course that Moreno’s not bound by genre nor formal rules, so he wanders and it’s deeply exciting trying to guess what we’re seeing or what he’ll do next. A documentary as much about the possibilities of exploring space as the space itself, The Hidden City is a hypnotic marvel. You forget what the surface could look like. It was in this mindset, eyes still adjusted to darkness that I caught Up The Mountain, which begins in dawn light as women begin their day in a secluded community, a day of farming, chores and most importantly, painting. The opening is like having a cup of coffee handed to you by director Yang Zhang, inviting you to settle in for a warming, welcoming experience, a gift. The film is a sort of quiet melodrama, except that it’s real, showing an artist and his best student leading two different lives, one in the country and one in the city. The younger man wants to marry, the older man is contentedly teaching a gaggle of senior citizens how to capture the world around them in their art. Yang follows suit by placing his camera high above the comings and goings of the village and an explosion of life transpires like an eruption of paint cans all over his eager canvas. It’s a privilege to listen to films speak to each other, from across borders, genres, decades and methodologies, the kind of thing we lose when we don’t go out to see these things for ourselves when programmers make a gift of them for us. Film Comment Selects is a modest offering, only a handful of films over a weekend, but it’s marked by an increasingly rare cohesion and offers a bounty of formal ambitiousness. These few films join together like a choir and leave a meteoric impression, whether the film discourse pays attention or not.